This Email is to Inform you that your email address Has just won you the lump sum cash prize of �1,000,000.00 Pound In draw#0211 of the just concluded MICROSOFT INTERNATIONAL LOTTERY DRAW that was held In London. Note* You will be chosen to receive the donation once.Take time in spending the donation wisely on something that will last you a long time. 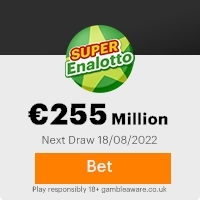 This Email with the Subject "†No Subject†" was received in one of Scamdex's honeypot email accounts on Wed, 13 Jul 2011 04:55:26 -0700 and has been classified as a Lotto/Lottery Scam Email. The sender shows as MICROSOFT PROMO <info@yahoo.com>, although that address was probably spoofed. We recommend that you do not attempt to contact any persons or organizations referenced in this email, as you may expose yourself to scammers and, at the very least, you will be added to their email address lists for spam purposes.